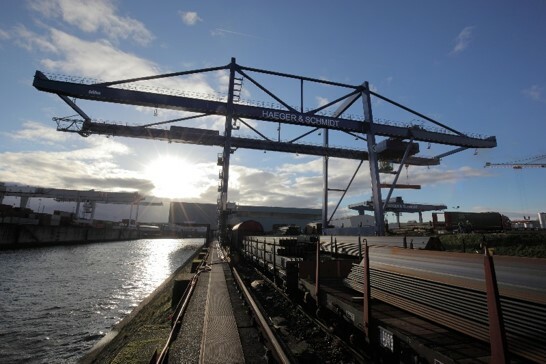 Our terminal in Duisburg port (quay length: 300 metres/platform length: 900m) is specialised for the handling of steel products and general cargo. Two modern dry handling halls towering 30 metres above the water and a flexible free warehouse offer over 21,500 m² for perfect trimodal handling. Every year hundreds of inland vessels and short-sea-vessels are dispatched and thousands of containers stowed. Container stuffing is one of our core competences. Around 1,000 trucks are dispatched monthly. 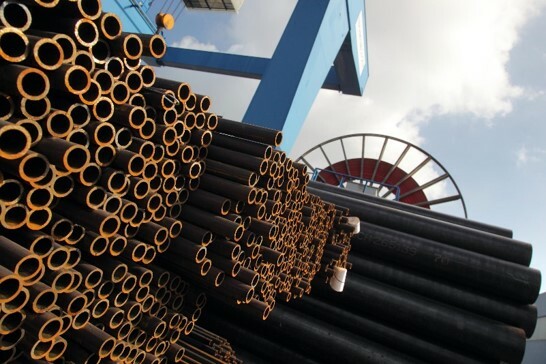 We score highly here with special solutions even for particularly heavy goods in containers. In addition, there are specialised handling options for many kinds of general cargo. Start of operations at the new free warehouse – crane facility in December 2015: With the 25m overhang over water (land: 30m) as well as a lifting height of 25m (18m of it above rail level), the new crane can be used trimodally in order to serve ships, three loading platforms, the road and the steel bearings in the “Südhafen”. We work on the basis of specialised information from the GDV Container Handbook (Gesamtverband der Deutschen Versicherungswirtschaft). 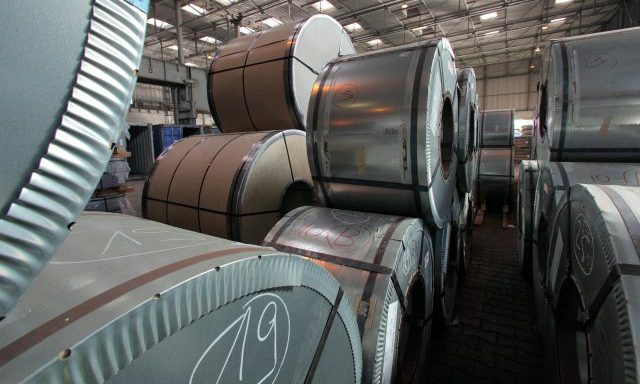 Individual, material-saving cargo securing for all goods for transport in close consultation with our customers.